Home > MMDU Mullana > 50 Tasks of Blue Whale Leading to Self-Destruction: Who is Responsible? 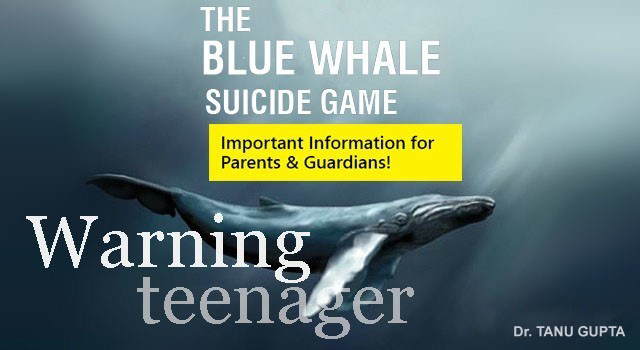 The online challenge of psychologically twisted game Blue Whale proved havoc for the teens. The game in the beginning seems simple enough and gives a few daring tasks like watching a horror movie and waking up at odd hours but at a later stage results in inflicting tortures on oneself and eventually a strong psychological pressure instigates one to commit suicide. Now there are just questions: Why? How? What? Who? We need to ponder upon the reasons which led the teens to take such a step. Why did they lose their senses? How can one go to so much extent? Is the young school going generation so weak? It is not the game which has killed the teens rather there are greater devils than the game itself. These are temptations, attention seeking behaviour, loneliness, solitude, gadget friendly atmosphere, depression, inclination towards adventure, peer pressure which constantly pushes to do something unique and many more. Delhi-based Samir Parikh, director, department of mental health and behavioural sciences, Fortis Hospital explains, “Teenagers are anyway undergoing internal struggle, facing questions like ‘Who am I?’ ‘Do people like me?’ ‘Do my friends find me good enough?’ ‘Am I lonely?’ They are the best targets for such games that look out for vulnerable teens who seek acceptance, acknowledgement and attention from peers.” The parents too busy are responsible for such suicides. Continuous nagging by the parents and too much pressure of the competitive world, the children start entering into the new world of “Google” with gadgets like mobile phones and laptops, even forgetting the real world of which they are the part. To them “to be social” means “to be active in facebook and whatsapp” and “to be knowledgeable” means “to have the capability of searching the material fast”. This changing lifestyle has made the children lonely and more close to e-gadgets. In such situations, they find the games like Blue Whale giving a meaning to their lives. The parents and teachers need to teach the difference between reality and fantasy to prevent children to be lost in the vicinity of illusions. A continuous interaction with the child who has started staying aloof can really fail even such brainwashing games. 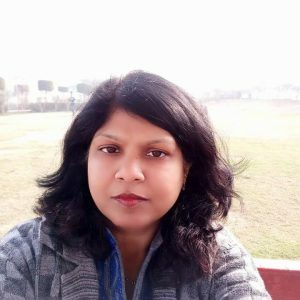 Thank you for an informative blog on such serious issue.